Maryellen Bunn hadn’t been in an airport since June 3, 2015. That was the day Bunn, a flight attendant at the time, slipped in an airplane galley and hit her head, causing a traumatic brain injury. She now relies on Brahms, a Labrador and golden retriever mix, to help maintain her balance and to perform tasks around the house, such as taking sheets off the bed and putting them in the washer. He’s even retrieved keys accidentally dropped beneath a vehicle. Houston Airport System runs program to help service dogs and their handlers navigate George Bush Intercontinental Airport. On Thursday, Brahms was at her side when Bunn returned to an airport for the first time since the accident. She was participating in a program at Bush Intercontinental Airport designed to help people and their service animals acclimate to the airport environment. “It’s a little bit scary and intimidating to me,” Bunn said before going through airport security. She was accompanied by Robyn Schapiro, who has profound hearing loss and can read lips, and her hearing dog Tyra, or Ty for short. Lisa Wright, a volunteer puppy raiser for Canine Companions for Independence, was also there with her canine trainee Kenzie III. It was the second time this program has been held at Bush Intercontinental Airport, said Tim Joniec, managing director of the Americans with Disabilities Act Coordination for the Houston Airport System. Many people with service animals are hesitant to travel, and this program is designed to help them feel comfortable at the airport. “We are 100 percent accessible to people of all abilities,” Joniec said. The service dog program is just one of the Houston Airport System’s efforts to improve the traveling experience for people with disabilities. Earlier this year, for instance, it announced a partnership with Aira. The organization provides vision-impaired people with special glasses allowing another person to, remotely, see what the person wearing the glasses is looking at and then provide a verbal description via smartphone. The Airport System will cover the cost of minutes used by Aira subscribers at Bush Intercontinental or Hobby airports through the end of this year. Joniec also said that the Airport System is rolling out disability awareness training to help airport employees recognize people with disabilities and more effectively communicate with those individuals. Bunn said she was most nervous about going through airport security. She was worried that a Transportation Security Administration officer would require her to let go of Brahms. Although she was mostly confident Brahms wouldn’t walk away, it was a new environment for the dog. She did have to take off his leash and hold Brahms by the collar, but everything went smoothly and the dog was at his typically well behaved best. All of the dogs behaved going through security in Terminal A, riding the Skyway to Terminal C and sitting by a gate. They even checked out the indoor doggie latrine in Terminal C.
This “relief area” has fake grass, a hose to rinse down the grass, bags to dispose of waste and a water filtration system beneath the grass that keeps everything sanitary. Kenzie III, the puppy in training, was the only dog to actually use the indoor bathroom — a new milestone. "All of our flying, all of it, and she has never once gone to the bathroom," Wright said. As a puppy raiser, Wright will raise a dog for about a year and a half, teaching her basic commands and exposing her to a variety of situations. Then she will return the dog back to Canine Companions for Independence, which provides 6 to 9 months of professional training before placing the dog with someone who could use assistance. 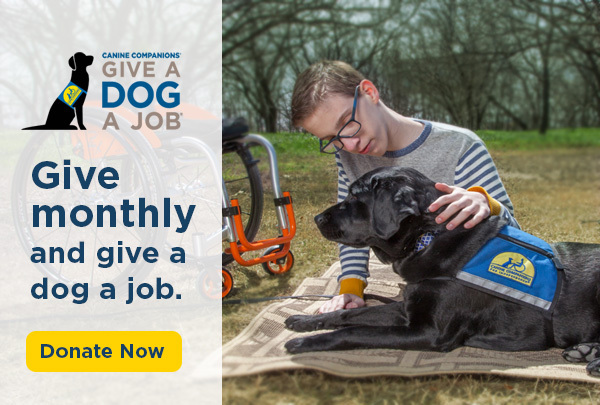 The nonprofit trains dogs for four scenarios: assisting adults with physical disabilities by performing daily tasks; alerting deaf or hard-of-hearing partners to important sounds; going to education, criminal-justice or health-care facilities to assist clients with special needs; and enhancing independence for children and adults with physical, cognitive and developmental disabilities. For Ty, the hearing dog, visiting the airport was an opportunity to get into a different environment. Schapiro said Ty mostly helps around the house. When the doorbell rings, for instance, Ty nudges her nose against Schapiro’s thigh and then leads Schapiro to the door. “Any time I can practice being out in public with her is great,” Schapiro said. Bunn is secretary of the newly formed Gulf Coast Chapter of Canine Companions for Independence. She’s going to recommend the airport program to others who have service dogs or are training service dogs. She said the dry run made her feel more comfortable about airports. And since everyone was paying attention to Brahms, she can fly under the radar.